Nintendo will no doubt be thankful to Amazon Instant Video, this turkey day, for bolstering the on-demand video line-up on the new Wii U. Instant Video, which joins Netflix and Hulu+ on the newly-released console, brings access to over 140,000 movies and TV shows, including the latest releases - available to buy or rent. Subscribers to the Amazon Prime 2-day free delivery service also get an additional 30,000 titles to stream free of charge. 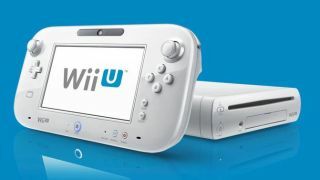 Wii U owners can use the 6.2-inch GamePad to browse and select content for playback on the television screen. Playback is also possible on the GamePad itself. "We're constantly working to create the best streaming video experience for our customers, and to do that it's essential to provide access on as many devices as possible," said Anthony Bay, Vice President of Worldwide Digital Video for Amazon.com. "The Amazon Instant Video app on Wii U gives customers more ways to enjoy video in the comfort of their home. The Second Screen Experience lets customers browse, search and even play movies or TV directly on the GamePad controller. In addition, new features in the app allow kids and parents to easily discover family-friendly programming for all age groups." UPDATE: Alongside Amazon, YouTube has now launched a dedicated Wii U application, which also works with the console's touchscreen GamePad. The launch of both Amazon and YouTube, following Netflix and Huli gives the Wii U its full quotient of on-demand apps, which were promised upon launch. Meanwhile the Nintendo TVii service, which bonds with the user's cable TV package, is still missing in action.